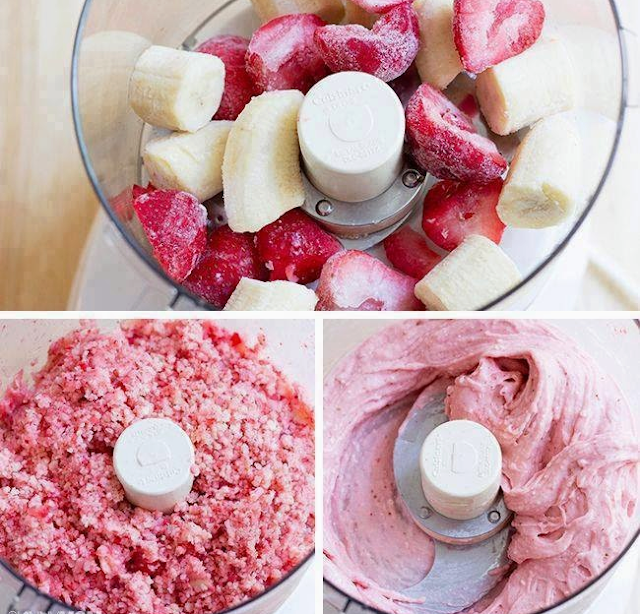 Place all of the ingredients in a food processor and blend until smooth. The consistency should be like soft serve ice cream. 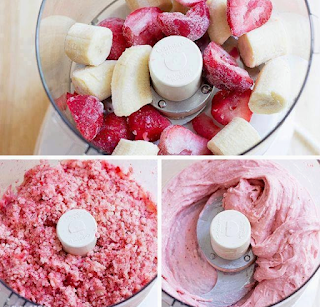 Transfer to a freezer-safe container large enough to hold 2 cups, and freeze for at least 3 hours. Scoop with an ice cream scoop and serve cold.